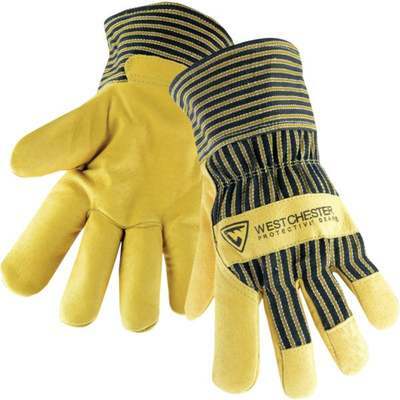 Plasticized safety cuff leather work glove. Features grain pigskin leather palm, fingertips and knuckle strap, canvas back, and 180 gram Heatkeep lining. Wing thumb design. Tan leather palm with black striped canvas back.